On 8 July 1987, the first team of Malaysian volunteers under the Malaysian Medical Volunteers left for war torn Beirut to volunteer in emergency medical service in the Palestinian refugee camps in Lebanon. It was the most intense and dangerous phase of the bloody 15-year long Lebanese civil war. The Malaysian Medical Volunteers (MMV) is the earliest known example of Malaysians being involved in international volunteering services especially in conflict zone in the Middle East. The example of the MMV has been a role model for other international groups such as the Medical Relief Society (MERCY). While is it known that altruism and religious affinity underpinned the motivations of Malaysians in their decision to volunteer, it is not known whether foreign policy effects their decision to volunteer their services abroad. This article seeks to shed light into this question by tracing the evolution of the MMV and the experience of the volunteers in Lebanon from 1987-1988. KARUPPANNAN, Ilango; YACOB, Shakila. FOREIGN POLICY EFFECTS ON MALAYSIAN MEDICAL VOLUNTEERS IN LEBANON IN THE 1980s. SEJARAH: Journal of the Department of History, [S.l. ], v. 27, n. 1, aug. 2018. ISSN 1985-0611. 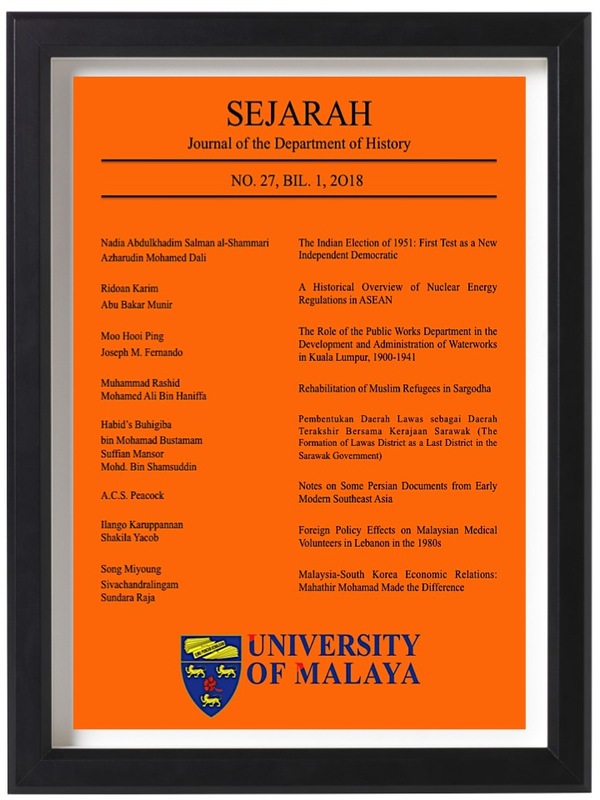 Available at: <https://ejournal.um.edu.my/index.php/SEJARAH/article/view/12440>. Date accessed: 22 apr. 2019.